Ukraine’s detention of two “Russian troops” is nothing but a show, Russia’s Defense Ministry said, adding that neither was serving in the Russian Armed Forces at the time of their arrest. It called on Kiev to stop the alleged torture of the men. Following Kiev’s claim that a pair of Russian soldiers had been captured in eastern Ukraine, the ministry said in a statement that its own investigation had revealed that both individuals hold Russian citizenship and had received military training, but neither was serving in the army. 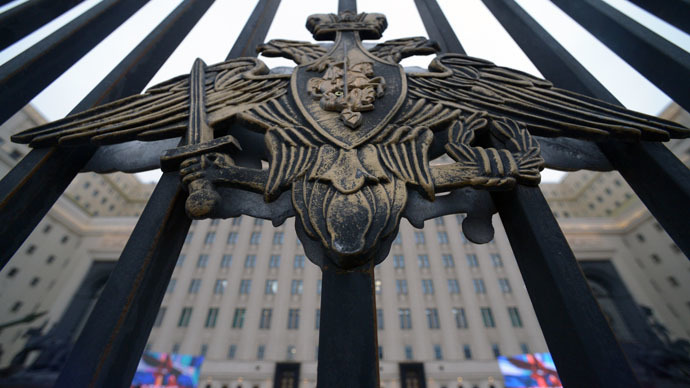 “We have been informed about today’s show jointly staged by the Armed Forces of Ukraine and the SBU [security service of Ukraine] in regard to the detention of the two alleged Russian soldiers in the Lugansk region,” Russian Defense Ministry spokesman Igor Konashenkov said. Ukrainian authorities alleged earlier on Monday that its security forces had arrested two Russian servicemen in the conflict zone in the country’s Lugansk Region. Kiev claimed the two were from the 3rd Special Purpose Brigade of GRU (Main Intelligence Directorate of the Russian General Staff) based in the city of Tolyatti in central Russia. Konashenkov explained that Aleksandrov and Yerofeev have both had combat training and at some point in their lives served in the army, but neither was still active in the military. Hundreds of Ukrainian troops have been detained in Russia during the course of the Ukrainian civil war, noted Konashenkov, stressing that all were treated according to international norms, received medical help, and were allowed to return home to their families. “We are counting on the good sense of the Ukrainian leadership and the speedy release of Aleksandr Aleksandrov and Yevgeni Yerofeev,” the statement said. The death toll from the Ukrainian conflict has exceeded 6,100 people, according to UN figures. The conflict began last April after the country’s eastern regions chose not to recognize the new coup-imposed authorities in Kiev. While the violence has largely subsided since the signing of the Minsk peace deal in February, shelling and exchange of fire still occur in eastern regions controlled by militia forces. At least one person was killed late on Monday after a Ukrainian army shell hit a civilian apartment block amid what was said to be the worst attack on the city of Donetsk in months.